Finn has posted a short piece on the role the Michel Serres may have in re-invigorating the vocation of philosophy. Rather than the coldly clinical dissections of certain branches of twentieth-century Anglo-American analytic philosophy or the deeply obscure and possibly senseless language of some Continental experiments, Serres has laboured to bring philosophy to our attention as a habit of life and mind that infuses our experiences and contemplations with real life, hope and possibility. 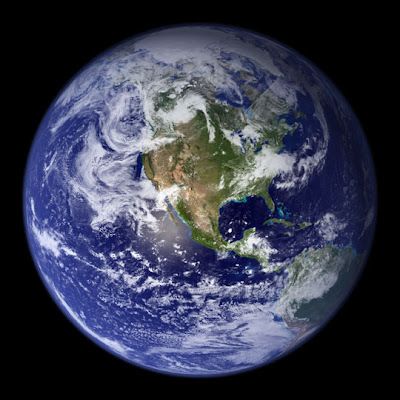 Serres loves images like this one of earth, where the flow, patterns and connections can be seen and imagined. And where are the borders? Where are the red lines or dotted black lines that define countries and nations? Why, having seen such images hundreds of times, do we persist in our reduction alone habits? Clearly, reduction is only a very partial truth.